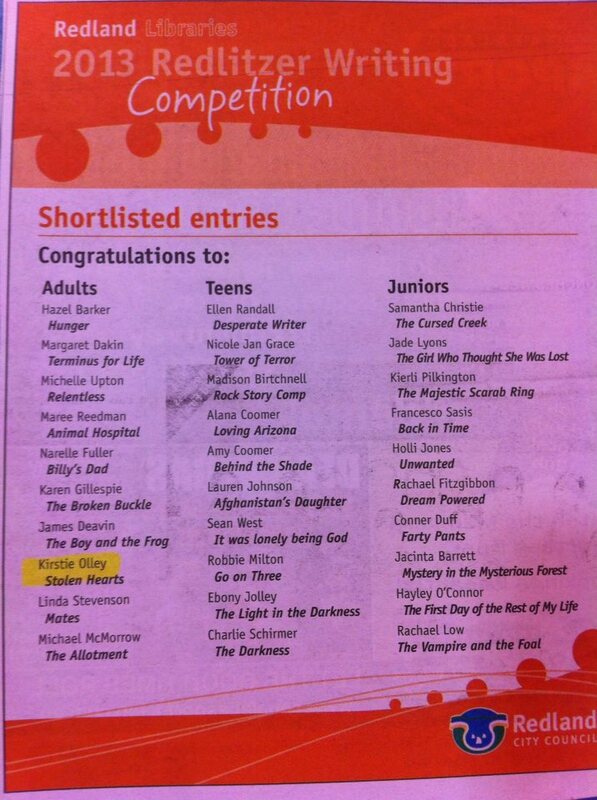 I’m quite chuffed with myself at the moment because I recently learned one of my stories has been shortlisted in the Redlitzer Writing Competition. The whole awesome name-in-the-local-paper deal and everything. Of course this brings in a tide of friends and family asking about the story that won. This taught me a funny thing about flash fiction. I sent in a piece of flash fiction called Stolen Hearts, and because I never thought I’d have to do a summary for it (like I do for books and longer short stories) I never created one. This leads to me trying to explain a lot of what happens in the story that is subtext so people will understand what I think is so great about my story (as well as what happens). Of course, by the time I’m done saying all that I’ve very nearly taken up as much time as I would have if I’d just handed the 1,000 words over to them. In flash fiction so much is implied and hinted at that a reader will usually glean for themselves, so a thorough description of the story exceeds the length of the piece itself. I could always just give people the story I suppose, but I’d rather get as many people as possible to check out the anthology when it is released 😀 You can be sure I’ll let you know when it’s available. About My Books, About Writing, All Write! I just discovered your blog and really like it! PS: The design of your blog is seriously cute!